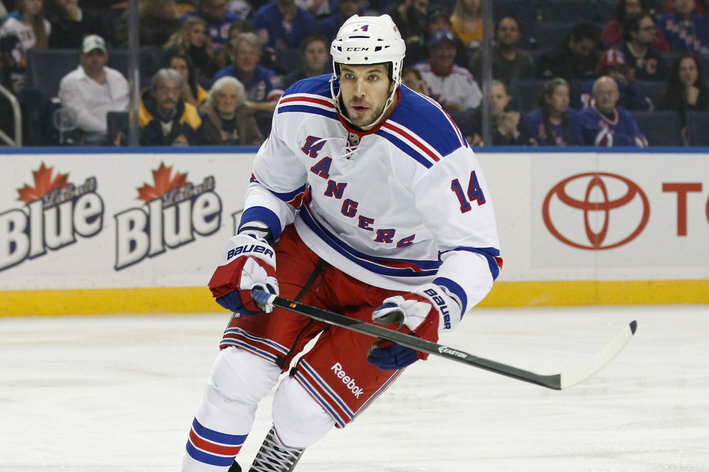 The Pittsburgh Penguins have claimed forward Taylor Pyatt off of waivers from the New York Rangers. This is an interesting move by the Pens considering that they have been crushed by injuries, and Pyatt has missed significant time with a concussion this season. Pyatt is a fourth-line grinder/enforcer, who will certainly add size and toughness to the Pens' lineup. Pyatt has struggled this season, hence why he was put on waivers. Pyatt has he has just one point on the season and is a -9. However, Pyatt has produced in the past, with a career-high 23 goals and 37 points in 2006-2007. If you remember, Pyatt got knocked out by Deryk Engelland in the 11-12 season. Pyatt's salary is $1.5 million and he is a unrestricted free-agent after this season. In two seasons with the Rangers, Pyatt totaled six goals, six assists, was a -4, and had 16 total penalty minutes.You also have to wonder what this move says about the thoughts of the Pens' front-office on how their young forwards have played.